Affordably priced and packed with high-end features. 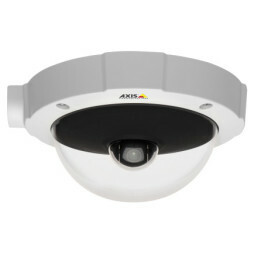 This sturdy, vandal resistant, PTZ Dome Network camera is easy to install on hard ceilings for HDTV remote surveillance of indoor or semi-outdoor areas. PoE eliminates the time, cost, and hassle of running separate power cables.